"Through the Affordable Homes Guarantee Scheme, the government will guarantee up to £3 billion of borrowing by housing associations in England to support delivery of around 30,000 affordable homes. " "If no deal is reached between the UK and the European Union, the UK economy could face significant and permanent damage." "From July, we will carefully migrate up to 10,000 claimants, monitoring and adjusting our approach as needs be, before reporting our findings to Parliament. The lessons from the pilot will inform our next steps, but there will be no overall delay. Universal Credit migration will be completed, as planned, by the end of 2023. " Welcome to the website of Hargreaves Risk and Strategy. We are a specialist consultancy and research organisation, working with housing associations, funders and regulators on risk management, strategic planning and control. Now that the deal between the government and the EU has been rejected by Parliament for the third time, there is a real possibility that the UK will crash out of the EU on 12th April with no deal. This would cause serious short-term damage to the UK economy and many expect that there would be a material fall in house prices, as well as higher inflation and interest rates. Housing associations must ensure that they have robust plans in place to handle this possibility. 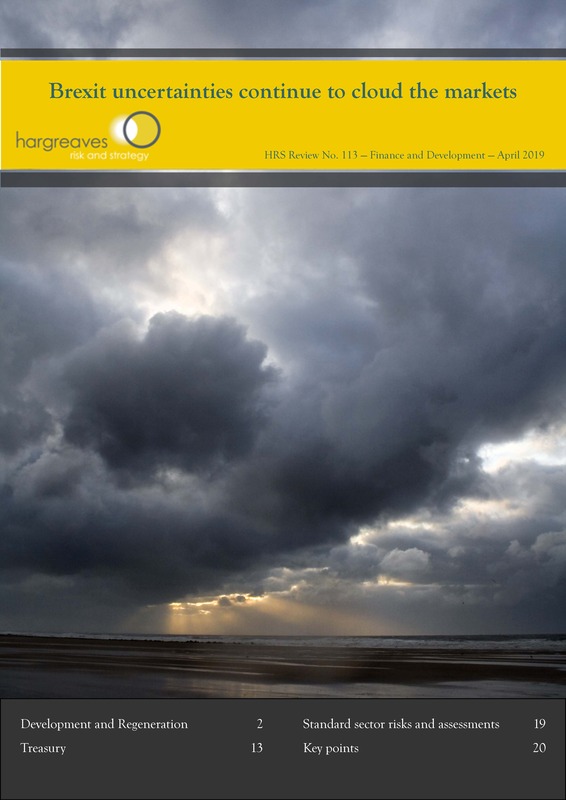 For more information, see the latest edition of the HRS Review. Our fourteenth Members' Conference took place on 28th February 2019 at the Institute of Directors in London. Slides and summaries of the presentations from the Conference are available in the members' area. The 2020 Conference will be on 27th February at the same venue.